Why Book Australia Tours with Us? Lose your heart to one of world’s most spectacular tourist destination, Australia and let Tour My India plan this fascinating holiday for you. We at TMI has in store for you a vacation experience that unfolds every aspect of this unique continent. 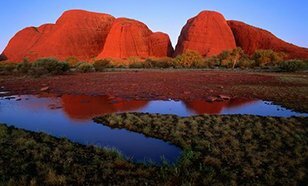 Our travel experts meticulously design varied Australia tour packages from which you can choose the holiday of your choice. 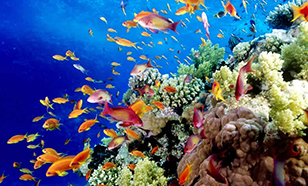 Have the stunning underwater life and Great Barrier Reef drawn you to Australia? Well, we offer perfect tour package to satiate your hunger exploring the mystical underwater universe. Interested in feeling the lively Australian cities’ vibe? We can take you to the best hotels to stay, pubs to crawl, and places to eat and party like an Aussie. Care for some of the finest wine in the world other than some perfectly brewed beer? Our experts know exactly where to send you. We also know where the Australian cultural treasure lies Canberra and what all the country has in store for you in its lush rainforests in Queensland and Tasmania. With us sight more than 700 species of birds, and the natives like red kangaroo, wombats, wallabies, and dingoes. On a family vacation and thinking where all to visit? TMI has that also sorted out for you, our family tour packages render something for every member to relish. There’ll be a visit to theme parks, restaurants, museums and a lot more waiting for you on Australia travel guide. High on an adventure? We assist you with the best route maps to enjoy the real feel of driving in Australia, something which the country is proud of. Truly, Australia has a plenty to offer to you and so do we, so book with us and enjoy a holiday like never before! 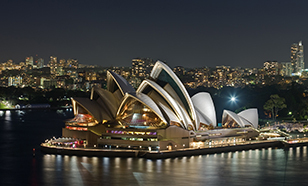 A great architectural work established in 1973, Sydney Opera House is a UNESCO World Heritage Site in Sydney Australia. Showcasing a tremendous work of innovation and creativity in both structural and architectural design, Sydney Opera House is one of the iconic landmarks in Australia sited at the tip of the peninsula, and thus, proffering breathtaking views of the ocean. Reckoned to be one of Australia’s invincible Natural gift and a UNESCO World Heritage Site, Great Barrier Reef holds the record of world’s largest coral reef system. It is a home to more than 400 types of corals, 4000 types of mollusc, and 1500 species of fishes along with some rare species including dugong (sea cow) and the large green turtle. Touted as the perfect epitome of remarkable geographical formations fly up hundreds of meters in the desert, Uluru Kata National Park is one of the sought-after tourist attractions in Australia. Expanding in the area of more than 1333 km sq, the park is best to catch the surreal sights of sunrise and sunset along with opulent flora and fauna. 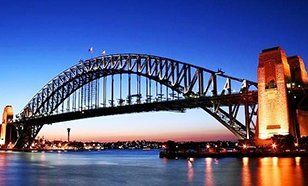 An incredible gift to visitors, Sydney Harbour is an iconic arch bridge in Australia that boasts some invincible views of the city from the top. Apart from serving as an important link between the Sydney and its suburbs, the bridge also takes visitors to its top to proffer the 360-degree views of the city for one of a kind holiday experience in Australia. 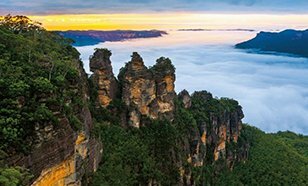 Discover the vibrant hues of Blue Mountain National Park – a world heritage site, through its aboriginal culture, sedating ambiance, opulent wildlife, and walking grasslands for an indelible holiday time in Australia. Esteemed as a prominent adventure tourist spot in Australia, the park is known for proffering a range of adventure activities like camping, mountaineering, canoeing, biking, caving, abseiling, and climbing. 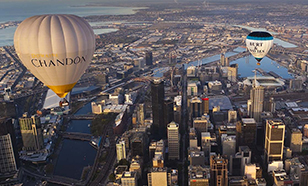 In Australia, a place which is a perfect blend of cosmopolitan culture, dynamic city life, sports and world-class dining is Melbourne. Indeed, one of the most lovable tourist destinations in Australia, Melbourne holds a pride of being the most cultured conservative city of the country. For tourists, it proffers the best of everything whether shopping, sightseeing, sports, and food.